December 21, 2016 - Thinking of Taking Annuities Withdrawals? 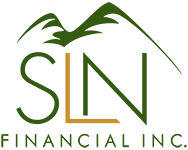 Answer These Questions First | SLN Financial, Inc.
1. At what age can I take withdrawals without penalty? 2. How will my payment be taxed? 3. What payout structures are available to me? Knowing which structure you own will guide what payments are available to you. Remember, your unique financial life will guide what strategies best help you reach your goals. To explore which withdrawal options are available to you — and what tax liabilities you may need to account for — feel free to schedule a consultation. Contact us today.